Åre is one of the most beautiful areas of Sweden, and the mountains offer incredible outdoor activities. 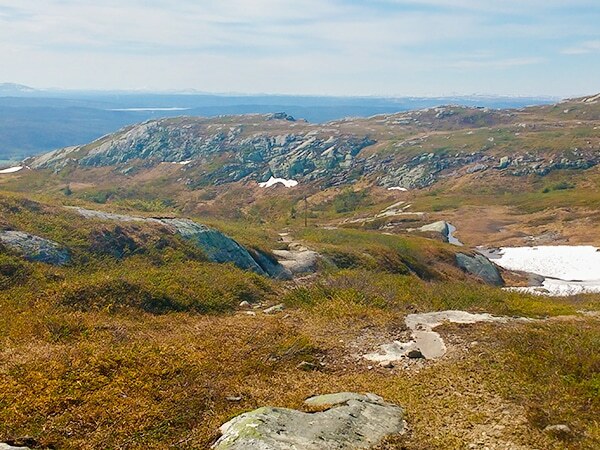 During the summer, Åre has a number of the best hikes in Sweden. Below we share the best hikes near Åre, many of which are also among the best in Sweden. Explore these great trails around Åre, hiking to mountaintops, through valleys and beautiful Swedish villages. Some of the best hikes take you into the wilderness and bring you back to your cozy fire in the evening. 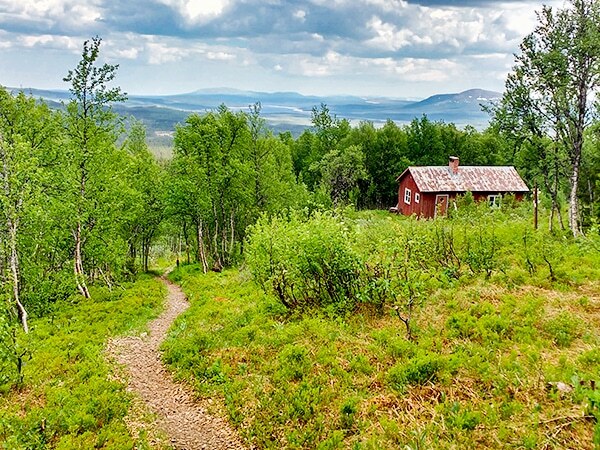 On other hikes near Åre, you can spend the night in a cabin, hotel or tent and continue on your way in the morning. 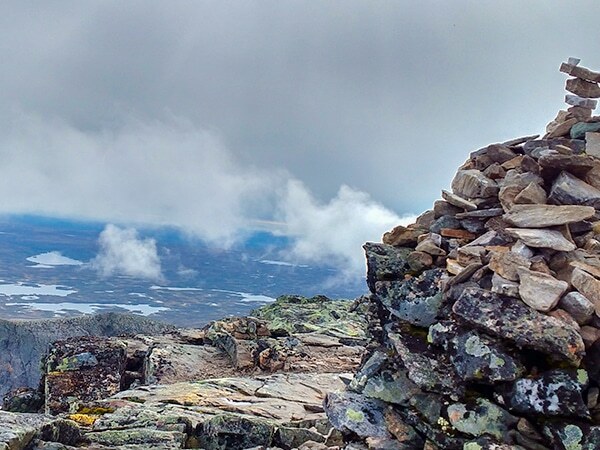 Nulltjärnsrundan is a great hike for beginners and children. 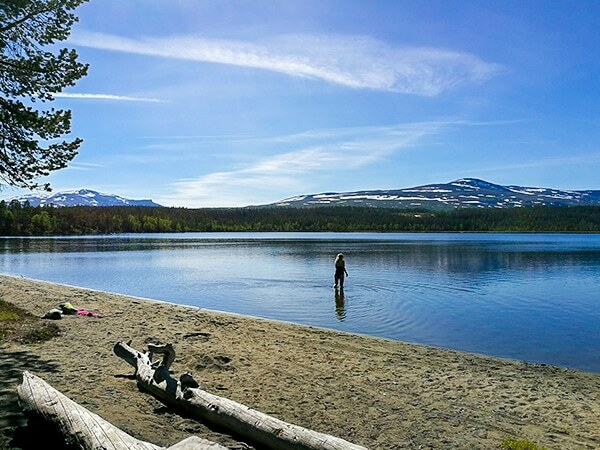 It includes a sandy beach along with magnificent mountain scenery and is only 8.6km from Åre. Helagstoppen is not only one of the best hikes near Åre but also rated as one of the best hikes in the world. 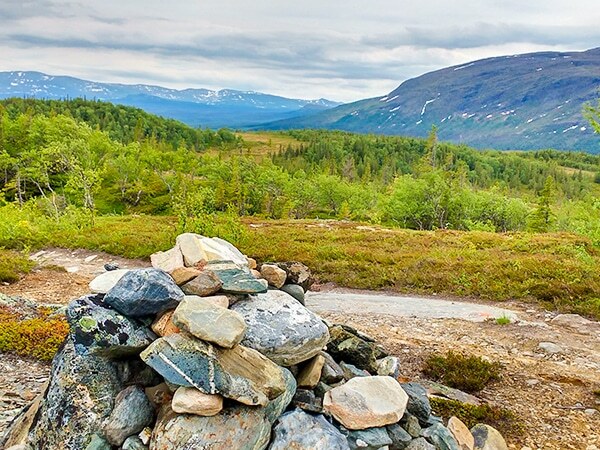 So start planning your next trip to Sweden as you feast on the 10 Best hikes in Åre below. Blanktjärnsrundan is one of the best walks in Åre for families as the path is relatively easy. You visit primeval forests, pristine ponds and spectacular vistas of the surrounding mountains. The trail takes you over a suspension bridge, past marshes and through several forests. Helgastoppen is one of the most rigorous hikes in Sweden, as it goes to the top of Sweden’s south glacier. The scenery is spectacular, and you may be joined by foxes and reindeer. Considered the second-best hike in the world by National Geographic, it’s well worth the effort. This hike is often done as a multi-day trip, and there is a mountain station where you can spend the night, but it is a popular place so be sure to make a reservation. 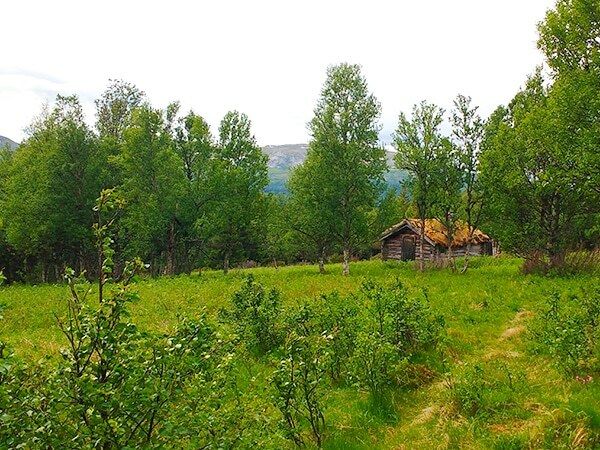 Beginning at “Platåleden”, Hållvallens chalet is one of the best walks near Åre. It passes through forests and over mires and meadows where you may see moose grazing. It is an easy hike and can be done in a half-day. The trail is well marked, and your experience is enhanced by small signs that give information about the local flowers and culture. Mullfjället is one of the great hikes in Sweden for a hot summer day. The trail takes you past misty waterfalls and clear lakes and ponds on your way to the top where you will have a 360-degree view of the beautiful mountains. 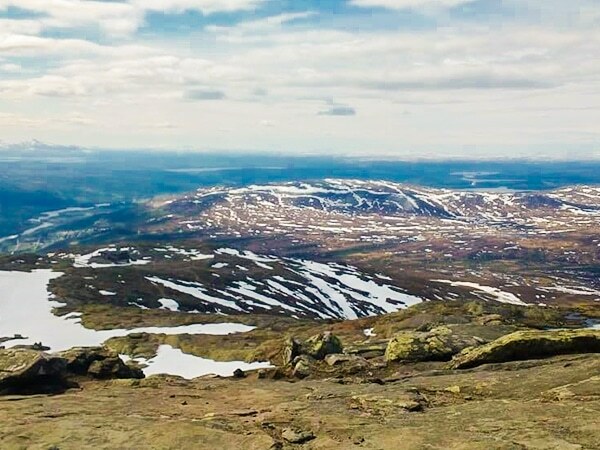 Nulltjärnsrundan is the best walks in Åre for beginner hikers and children. You will walk alongside small streams and find signs that teach about the history of the area. At the halfway point, you can rest on a sandy beach surrounded by spectacular mountain views. Platåleden-Hållvallen has a lot to offer experienced hikers. At the halfway point there is a chalet where you can spend the night by a cozy fire. 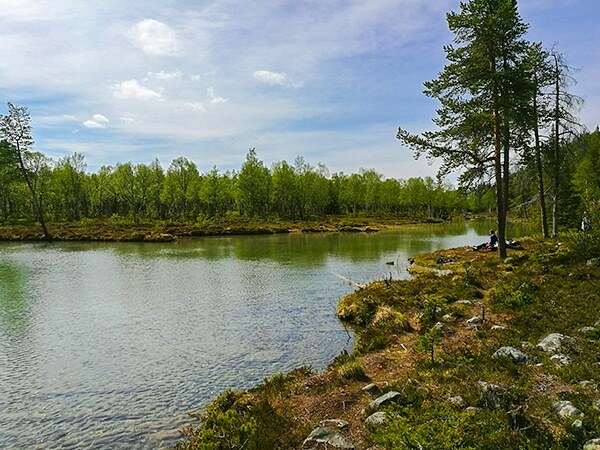 There is even a restaurant along the trail as well as some of the most beautiful scenery in Sweden. Ristafallsrundan is an old trail of the Swedish army with signs that explain the history along the way. 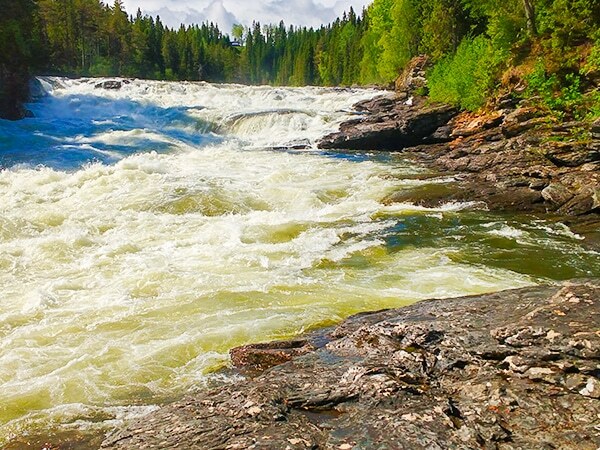 It is a favourite hike near Åre thanks to the for fantastic scenery with forests, whitewater rapids, soft meadows and several waterfalls with rainbows. 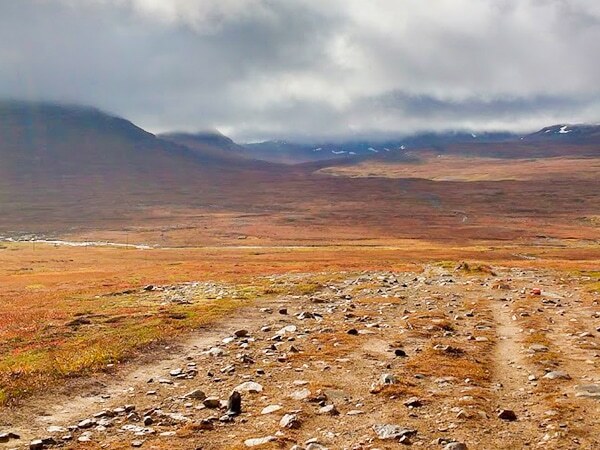 Storulvån-Sylarna is the best hike near Åre if you like open spaces, mountain scenery and reindeer. There are several rivers along the way with potable water. Välliste Runt is one of the top hikes in Sweden if you love wildflowers. You will pass through old forests along mountain trails with spectacular views at almost every step. Åreskutan is the last on this list, but it still a great walk near Åre, especially for experienced hikers. Right from the town square, you pass through old forests, along streams and over three mountain tops to reach above the tree line for the best view in the region. I'VE NEVER BEEN TO ARE IN SUMMER, GUESS NOW I'LL HAVE TO.